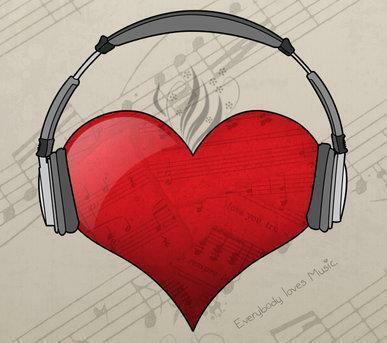 A recent study conducted by the University of Maryland School of Medicine shows that listening to your favorite music is good for your heart! Although this doesn’t come as a surprise, to have it proven scientifically is a relief – now I won’t feel bad about listening over and over again the same things (my brain usually disagrees when I do this, always telling me to discover new music). Music you love actually dilates your blood vessel leading to an increased blood flow, kind of like veggies. Well I don’t know about country music, personally makes me wanna go on a killing spree, but I tend to think that this study is kind if biased if most participants preferred listening to a one particular musical genre. I used to be a metal fan, listening to Dimmu Borgir or Pantera hours on end made me feel great. But musical loudness, toughness and speed must influence the heart in one way or another. Studies dating back to the late sixties showed that, while excercising, fast music speeds up your heart and energizes the metabolism while sedative music does the contrary. Some people love music that makes them angry, other loves music that makes them sad, and differnet sets of studies clearly indicate that mood disorders can affect the course of diseases and illnesses leading to all sorts of bad consequences for the heart. So listening to music that makes you sad isn’t good for your heart even if you love it. Or is the other way around?